Born and raised in the United States, Grant was raised in an athletic culture and played an array of sports that included martial arts, wrestling, basketball, pole vaulting and football. Excelling in wrestling led him to Brown University, an Ivy League school in Providence, RI, USA. As an undergraduate student, Grant pursued a BA in Health and Human Biology with a subfocus on human health and disease while competing in a starting spot on the varsity wrestling team. After university, Grant pursued a career in health care as a medical scribe where he worked alongside physicians in emergency departments. In his spare time, Grant pursued his passion for athletics by becoming the varsity head wrestling coach at Moses Brown High School, a private prep school also in Providence. His time as a medical scribe and coach helped him realize that his true passion lies in preventative health. 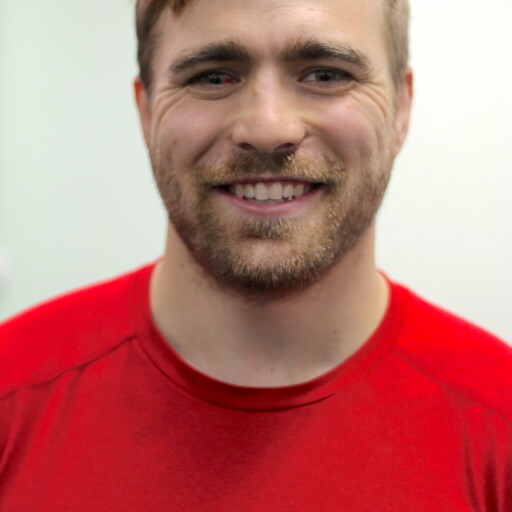 As such, since arriving in Canada, he has achieved his Personal Training Specialist certification with CanFitPro while also coaching at a non-profit studio-gym in Roxboro. To further his knowledge and broaden his scope, he is pursuing a degree in athletic training at Concordia University.